We would love you to share your memories of the Gaiety theatre with us! 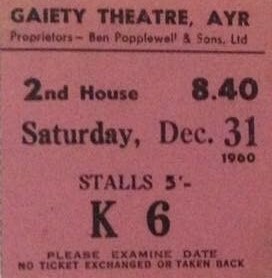 If you have any memories that you would like to share please send them to us by completing the contact form or by emailing us at heritage@ayrgaiety.co.uk. We will add your memories to those below, where they preserved and add value and context to our unique digital archive collection. "I was brought up at 31 High Street [Ayr] (demolished 1960). It was a large commodious flat. My mother did 'letting' and many Gaiety chorus girls stayed with us. 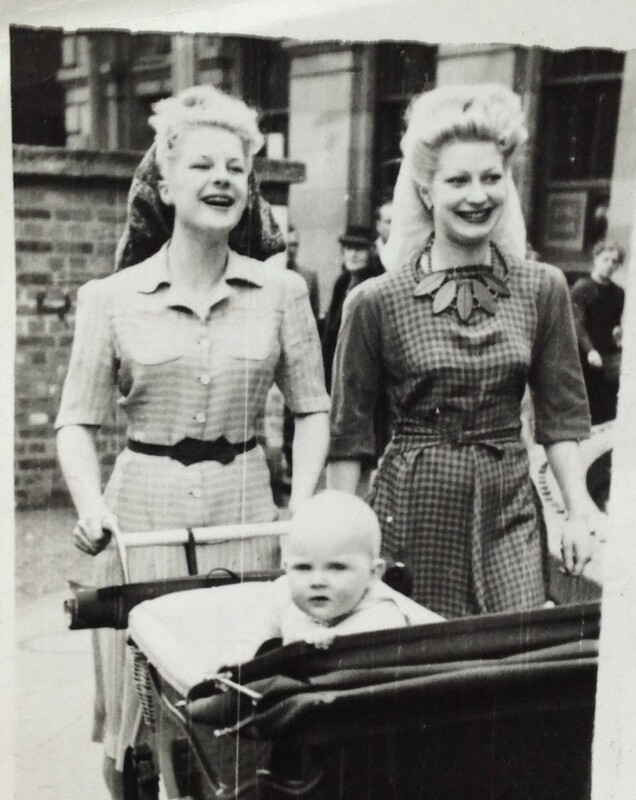 In the photograph Doris and Betty are pushing my pram to the Gaiety for rehearsals! I was born July 1944 so looks like 1945? In the 50s we had a father and daughter staying. They were an acrobatic act, The Ansons, (I think). Mum's pulley needed a new rope. Dad was at work, so Ina Anson stood on her dad's shoulder and fixed the pulley! I wish I could remember better, but I was young. A lot of acts during the 'Whirl' stayed in caravans. Aly Wilson was at Holmston Farm (now houses and a school). Robert Wilson was a great friend of the Murdoch's Barlosh Farm. My mum said Robert Wilson was her favourite singer!